If you’re a first-time mom it’s important that you know how to assess your baby’s motor skills every month. These tests are normally carried out by a pediatrician during the baby’s monthly check-ups. Sometimes they are carried out so quickly that we don’t even know they are being done. If we go ahead and document everything well at home, then we can be better prepared for our child’s checkups. We can ask specific questions about the evolution of our little one’s motor skills and supply the doctor with valuable information. Having knowledge about our baby’s motor skills will also give us peace of mind. With this knowledge, we can do simple motor tests at home. If we notice that something is not right, maybe we can resolve it with certain exercises or massages. 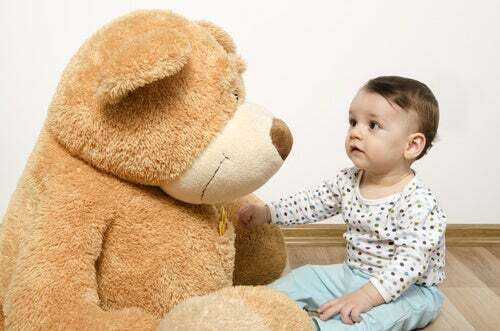 We will also be able to provide this detailed information to the pediatrician so that they can advise us. Generally with a little exercise, some specific activities or games we may be able to correct certain issue ourselves. Sometimes stimulating the baby could also help solve a situation. All children are different. Even in multiple pregnancies, we can see that each baby has its own rhythm, so there is not much to be alarmed about. It is important to remember that premature babies or those who were in intensive care upon birth evolve a little slower but this is not a cause for concern. When lying on their back, their arms and legs are usually flexed. They can perform some involuntary movements in the legs and arms. They can turn their little head but they do not have the strength to lift it. Upon having their head lifted, it falls to one side of the body or backward. They can bend their arms and legs when lying on their back. When they are on their stomach they can lift their head for a few moments. When they lift it up, their head can still go to the sides or backward. Their hands are closed most of the time. If you put an object or a finger in their hand, it opens up and then closes again; That movement is known as a pressure reflex. They can smile occasionally and they are a little more interested in the things and sounds around them. They may turn their head to try to locate it. When the baby is awake they continuously bend their legs and arms. You will notice that every day they make more movements. When lying on their stomach, they try to raise their head for a moment. They can support themselves on their forearms when they are laying face down for a few moments at a time, and they can keep their head raised for several minutes at a time. They play with their hands, watching them continuously. While you hold them, they can rest their feet on a surface with flexed knees. They improve the movements from the previous month. They can lift their head for longer and even part of their torso when they are face down. They push if they get close to a nearby surface to support themselves. They can make their first turns. When you place them on a flat surface, they support their weight on the entire sole of their feet. The baby is much stronger and you can take their little hands and help them begin to walk. The baby can fully raise their torso and stay that way for a while when they are placed on their stomach. Suddenly they can rotate and change position. They make movements with their feet as if they were pedaling. They actively participate when they are helped to sit down. When taking them by the armpits and arms, they make the effort to stand and place their feet on the closest surface. They go around looking for an object or toy. They play with their feet. When held by the armpits they stand and even try to make small jumps. They can stay sitting alone for a few moments. If you observe a situation that is really outside these parameters, for your own peace of mind, you can contact the pediatrician without waiting for their next checkup.